Funcom announced the launch of “House of Crom”, a free update for Funcom’s massively multiplayer online game Age of Conan: Unchained. This content update is available to both Premium players and those enjoying the free-to-play offering, giving everyone the opportunity to explore the ancient halls of The House of Crom, a location that stretches over two huge in-game dungeons. Reception from the player-base to the content update has been extremely positive. In the update, players are embarking on exciting adventures to explore what remains of the temple created by the ancient Atlanteans. Here they must discover for themselves the true nature of the evil curses that beset the ancient race thousands of years ago. House of Crom comprises two vast dungeons, one social, and one instanced. The social dungeon supports multiple groups at the same time, allowing players to experience an open and shared MMO experience that harks back to the early days of MMO exploration, where players must co-operate in order to succeed. 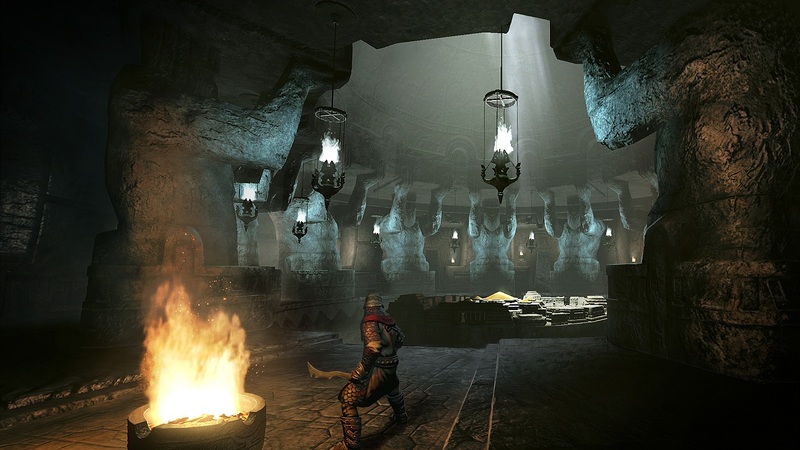 These areas are the largest indoor dungeons yet created for the game, and provide a fantastically epic, and massive, backdrop to the player’s latest adventures. To download the client and play the game for free, visit the official website. like the size of the game wasn;t big enough , make it bigger !